Enterprise Ireland and Network Ireland with The Entrepreneurs Academy Announce ‘Lead and Succeed' Fuelling Ambition Roadshow for female entrepreneurs. Regional Elevator Pitch Competition with prize package worth over €3,000 at each event. 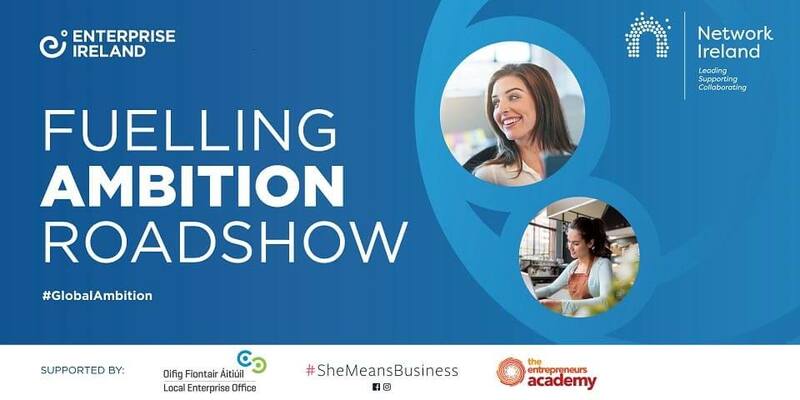 ‘Lead and Succeed' is the theme of this year's roadshow which aims to encourage, support and drive the ambition of female entrepreneurs nationally by showcasing thriving Irish business women and entrepreneurs. Following the success of last year, the roadshow will once again include an Elevator Pitch competition with a cash prize package sponsored by Facebook worth €2,000 at each location, as well as additional prizes including: 10 sessions with Enterprise Ireland Mentors. Attendance at Enterprise Ireland's Excel at Export Selling training programme. Annual membership of Network Ireland.